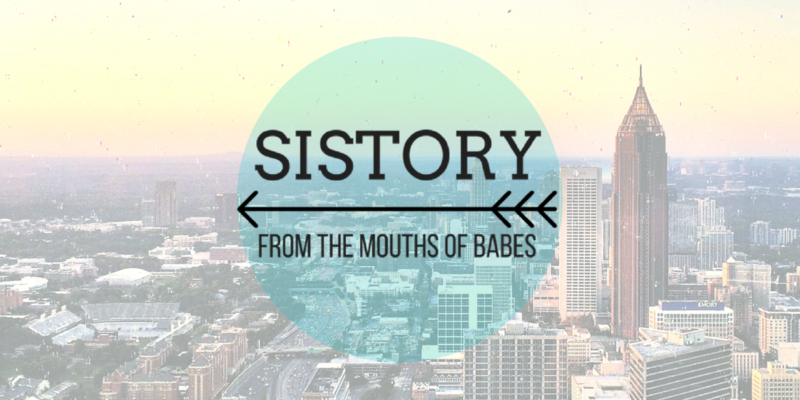 Note: Last week, we kicked off Local History Month on Sistory – exploring the places closest to us. If you missed it, read up on the sugary sweet past of Cambridge, Mass., here. A year ago, my NFL knowledge was limited to domestic violence allegations and concussions. (I’m fun at parties.) But then I moved to State College, the epicenter of football in the great state of Pennsylvania. #WeAre the home to the Penn State Nittany Lions. #IAm living with a rabid Baltimore Ravens fan and a perennially optimistic Buffalo Bills fan. And the aptly named Centre County is smack dab in the middle of the Pittsburgh Steelers-Philadelphia Eagles rivalry. The Steelers/Eagles rivalry is arguably not as intense as the Penguins/Flyers hockey rivalry, but more intense than the Pirates/Phillies baseball rivalry. It is nowhere near the Sheetz/Wawa convenience store rivalry, which I will say no more on for fear of inciting the ire of the internet. Twitter has an interactive tool to track NFL rivalries by their current followers. Today, you would never see a Steelers fan wear an Eagles jersey, and vice versa. But that wasn’t always the case. For one season, for the good of this nation, those two teams were one. In 1943, war was afoot. All able-bodied men were being drafted to fight, and who is more able-bodied than football players? (Rugby players.) The draft, while fantastic for fielding an army, was terrible for fielding a football team. According to Matthew Algeo’s book, Last Team Standing, going into the 1943 season, the Eagles had only 16 players remaining. The Steelers had six. If one or both teams suspended operations, the league wouldn’t have the eight teams needed for the season. Steelers owner Art Rooney suggested temporarily merging the two Pennsylvania teams; years ago, he’d suggested merging them permanently into the Pennsylvania Keystoners. The Eagles were a little hesitant. As the larger team, from the larger city, with the arguably larger fan base, they brought more to the bargaining table. It was decided that the merged team would wear green and white, be called the Philadelphia Eagles and play four of six home games in Philadelphia. The team would disband before the playoffs, since the other teams were worried about the unfair advantage of the merger. Outside of Philadelphia, the fans and media referred to the merged team as the Steagles, and they were wildly popular. The head coach of the Eagles and the head coach of the Steelers hated each other with a passion. So, naturally, neither of them wanted to cede power to the other. They both served in the head coach role, which resulted in the two men storming off the field the Friday before a Saturday game. But overall the merged team was a success. They broke attendance records for both teams and had a winning season, a first for the Eagles. The players were all full-time war workers as well, but faced a lot of criticism for not being overseas. One player quit due to the shame and guilt he felt for playing football rather than being drafted. 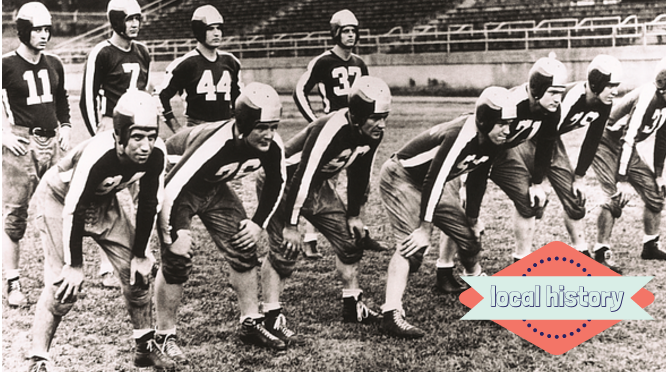 By the time the 1944 season rolled around, enough men had returned from war that the merged team could disband. With the addition of new teams that had been long in the works, the NFL faced another challenge: eleven teams wanted to play, an uneven number. They begged two teams to merge again, resulting in the Card-Pitt’s. The Pittsburgh Steelers once again merged, this time with the Chicago Cardinals. They were so bad that they became known as the Carpets, since everyone walked all over them. Much like the dream of fascism in Europe, the dream of the merged team was dead. Never again would two teams play as one. Editor’s note: In the same way that I’d want Jerry Bruckheimer to credit me when he makes a movie out of this story, I’d like to credit Sam Cook, Steelers fan extraordinaire, for pointing me towards this history tidbit. I hope dearly that your team wins great at the big sportsball game this year. Previous How Many Licks Does it Take to Get to the Center of a Tootsie Pop Mystery?